OnPar Technologies today announced it has been named 2016 US SMB Champions Club Southeast Partner of the Year by Microsoft’s US Small and Mid-sized Business (SMB) Champions Club. OnPar Technologies today announced it has been named 2016 US SMB Champions Club Southeast Partner of the Year by Microsoft’s US Small and Mid-sized Business (SMB) Champions Club. 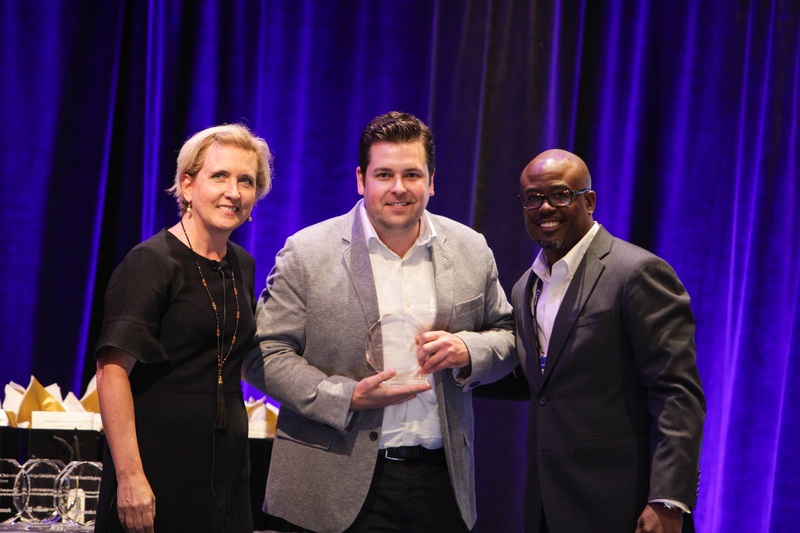 The award recognizes the US SMB Champions Club partner who has demonstrated significant SMB sales and year-over-year SMB revenue growth with Southeast SMB customers. Members of the US SMB Champions Club have shown dedication to arming the small business community with the right technology and services they need to be successful. OnPar Technologies is a Microsoft Certified Gold Partner with competencies in Small and Midmarket Cloud Solutions, Cloud Platform and Cloud Productivity. As a Direct 1-Tier Microsoft Cloud Solution Provider (CSP), OnPar specializes in Microsoft Licensing, Office 365 Deployment, SharePoint Development, Skype for Business and Azure Cloud Solutions. “We’re honored to be named Microsoft’s SMB Partner of the Year for the Southeast region. This recognition only reinforces what our clients have been telling us for years: OnPar delivers business solutions that are incredibly impactful and transformative. Receiving this award is further proof that we continue to be a leader in the design, implementation and support of Microsoft technologies.” said Jeremy McParlan, CEO of OnPar Technologies. OnPar Technologies along with winners in six other categories were recognized during the Microsoft SMB Champions Award Reception in Toronto, Canada on July 11, 2016. The Microsoft Partner Network is designed to equip organizations that deliver products and services through the Microsoft platform with the training, resources and support they need to provide their customers superior experience and outcomes. Microsoft’s US SMB Champions Club is an exclusive program designed for partners who have a proven track record of delivering Microsoft solutions to businesses in the U.S. small and medium business (SMB) segment and have committed to advancing their cloud business practice. As a member of the SMB Champions Club, partners can further their Cloud growth by utilizing the benefits obtained through their program status. Founded in 2007, OnPar Technologies is a Microsoft consultancy and leading provider of Information Technology solutions to small and mid-sized businesses throughout the eastern United States. Our Microsoft experts implement custom-fit, transformative technology solutions designed to modernize your business, compete and win in today’s rapidly evolving economy.